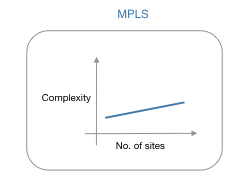 MPLS Networks « Genesis Telecom Ltd.
Multiprotocol Label Switching (MPLS) is a supercharged technology that delivers voice, data, and video anywhere over an entirely interconnected private network. It offers a reliable, cost-effective and safe alternative to sharing information and applications between remote workers, partners and offices. With a MPLS network, companies can restructure their operations, improve efficiency and reduce price of ownership. MPLS services are highly scalable, with this technology, it becomes convenient to expand IT infrastructure through different sites, fresh applications and even with employees working in different locations. Multiprotocol Label Switching focuses on traffic by designating tags on data, this allows systems to function more thoroughly and dependably. This is great for companies using delay-sensitive and business-critical applications like VoIP. Is MPLS right for my business? Point-to-point circuits or IPsec tunnels used to be the only viable options for a business transmitting data between multiple sites. This proved to be costly and complex, both to implement and to maintain. MPLS allows businesses to create a private network that is fast, reliable and simple to administer. Performance: The speed of information transferred between sites will rapidly improve within a MPLS network. Data will not be sent over the Internet and therefore not require encryption/decryption. 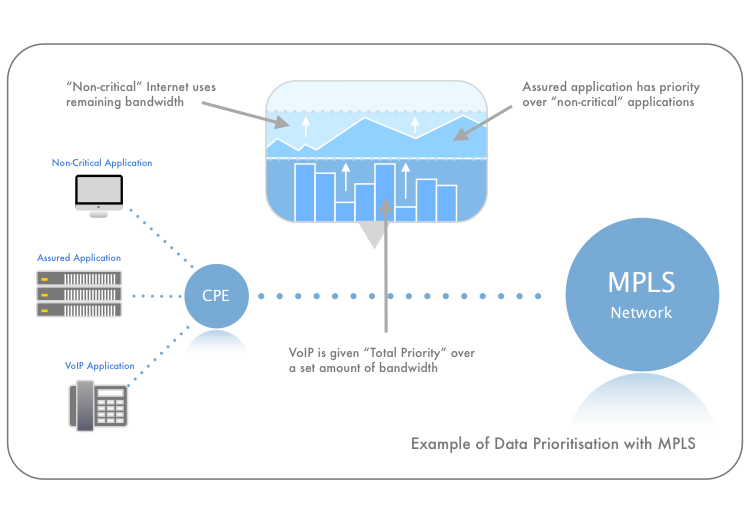 By assigning labels to data packets, MPLS services can optimise performance of your traffic and deliver guaranteed Quality of Service. Lower packet loss means faster response for applications. Productivity: Business critical traffic (e.g. CRM) will perform more efficiently within an MPLS network, thus improving service levels, staff outputs and customer experience. By simplifying infrastructure and administration, IT staff can focus on functions more closely related to the everyday running of your business. Resilience: With high availability, if a major link in the MPLS network goes down, traffic will quickly route to an alternative path. If an entire site has an outage, the others will not be affected, therefore network downtime is greatly reduced. Reliability: Through ongoing support we proactively monitor your MPLS network, ensuring any infrastructure issues are identified and resolved before they affect your business critical applications. Our technical support team will promptly address any outages and proactively investigate alerts. Security: Information transferred between sites will be done via an integrated private network, not the public Internet, ensuring maximum security for your confidential data. Scalability: Ease of building on IT infrastructure ensures that when your business grows, new sites, remote workers and applications can be rapidly configured and deployed onto your MPLS network with minimal effort and cost. 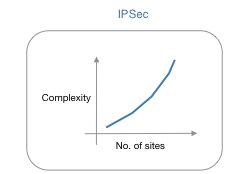 Traditional technologies such as IPsec made connecting multiple sites both time-consuming and expensive. Making changes to an IPsec WAN requires changing every firewall at every site, the administration overhead increases exponentially with the number of end points. Genesis’s MPLS networks offers outstanding scalability so configuring and deploying sites can be done easily and cost-effectively. 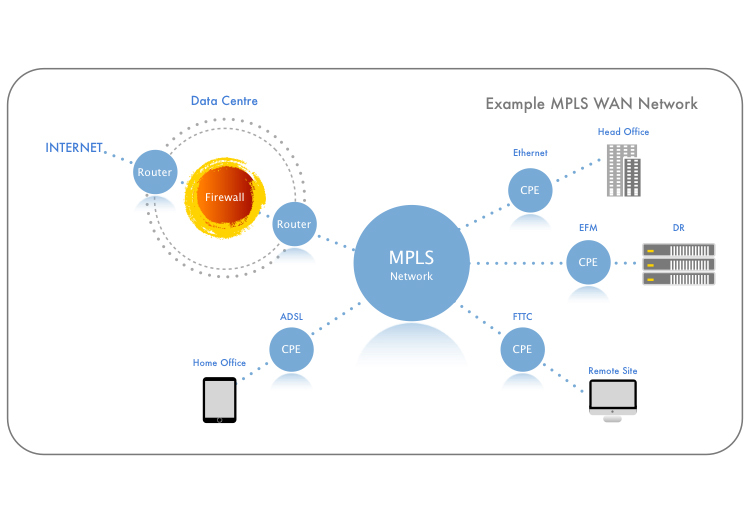 With MPLS your WAN logically becomes a LAN. This means your remote site or home office are as easy to connect into the LAN at Headquarters as a PC in the same office. Inter-site data does not pass over the Internet, only a single firewall is required at the point of Internet breakout. Genesis MPLS can prioritise your traffic to best utilise the performance of your bandwidth. By assigning labels to the data according to the importance of delivery speed, priority is given to business-critical or delay-sensitive traffic. For example, a real-time VoIP application can be given priority over delay-tolerant traffic such as email, ensuring that the VoIP user does not experience poor call quality, it is features like this that make MPLS services such a great investment for businesses. For more information on our business MPLS networks or for advice on how to set them up, please call us on 0843 504 4180.